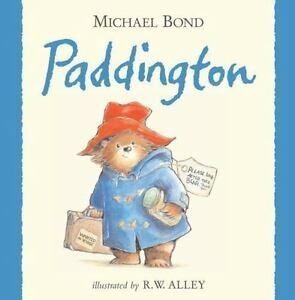 Paddington by Michael Bond Hardback 2007 NEW !!!! A reissue of the classic story of Paddington bear with bright and colorful new art by the original artist. Nearly fifty years ago, a small bear from Darkest Peru set out on an adventure of a lifetime. With nothing but a suitcase, several jars of marmalade, and a label around his neck that read, "Please Look After This Bear," he stowed away on a ship headed for faraway England. 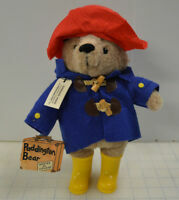 When the little bear arrived at London's busy Paddington Station, he was discovered by Mr. and Mrs. Brown. As luck would have it, the Browns were just the sort of people to welcome a lost bear into their family. 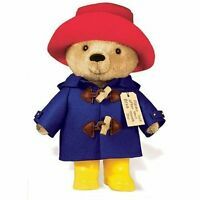 Paddington Bear has charmed readers worldwide with his earnest good intentions and humorous misadventures. This reissue of the classic story, with new artwork by original artist R. W. Alley, will surely let a whole new generation of children find a home in their hearts for this lovable lost bear.